Sebi to launch new commodity products, allow more participants The commodities market has been demanding for long the introduction of options to deepen the market. Besides, the industry has also been asking for allowing participation by banks and Foreign Portfolio Investors (FPIs), among others in the commodity markets. Markets regulator Sebi today said it will introduce new products and allow more participants in the commodity derivatives market, a move which could pave the way for entry of banks and FPIs into the segment. The markets regulator last year begun regulating the commodity derivatives market as well. The commodities market has been demanding for long the introduction of options to deepen the market. Besides, the industry has also been asking for allowing participation by banks and Foreign Portfolio Investors (FPIs), among others in the commodity markets. "To deepen the commodity futures market and to encourage new products and participants, Sebi has setup an advisory committee under Ramesh Chand, a member of Niti Aayog," Sebi Chairman U K Sinha told reporters here. He further said the committee has already done a meeting in this regard. 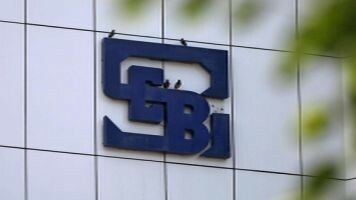 Later in a statement issued after the board meeting, Sebi said that it plans to develop an integrated database on commodity derivatives, augment the supervision of the market and introduce new products and allow new participants. Finance Minister Arun Jaitley in Budget 2016-17 had said that the new derivative products will be developed by the Securities and Exchange Board of India (Sebi) in the commodity derivatives market.